First Lady Margaret Kenyatta held talks with the First Lady of Central African Republic Madam Brigitte Toudore, Member of Executive Board and CEO of Merck Healthcare Dr. Belen Garijo and Chief Social Officer of Merck Healthcare Dr. Rasha Kelej. They agreed to scale up programs aimed at empowering women in Africa. Margaret Kenyatta expressed the need to facilitate women to play an active role in nation building. 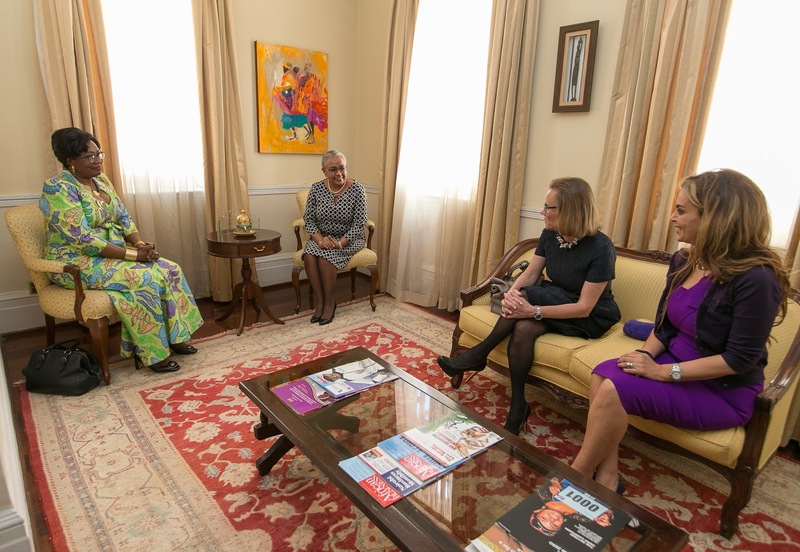 On her part, Madam Brigitte commended her Kenyan counterpart for spearheading the beyond zero campaign to reduce maternal and child mortality, saying she is a true model of African motherhood. Madam Brigitte is a Champion of Merck More than a Mother, which supports women facing stigma because of infertility. The organization has been empowering women across Africa who have been stigmatized by initiating projects that enable them to restart and continue with their normal lives. 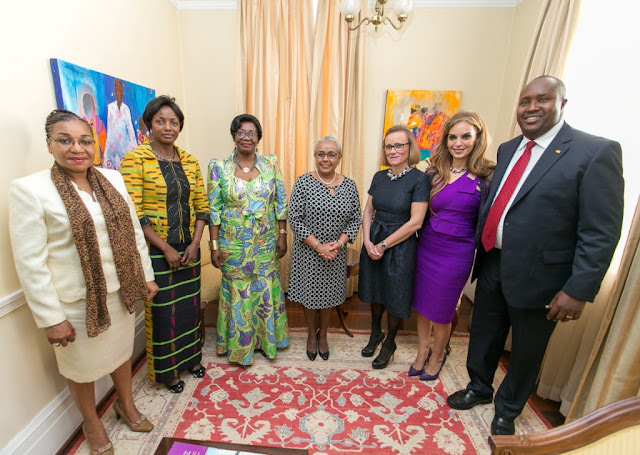 The Chief Executive of the Organization Dr Belen Garijo told Margaret Kenyatta that they not only support the victims but are also helping communities change their mind-set concerning infertility.